Hurricane Florence is just now impacting lives. But President Donald Trump already did a fresh measure of damage to his own credibility – and to that of a party that will see its fate rest on his sway in a few short weeks. Trump’s suggestion that Democrats are somehow behind an effort to inflate a hurricane death count in Puerto Rico is both utterly unsubstantiated and totally irrelevant to the moment. 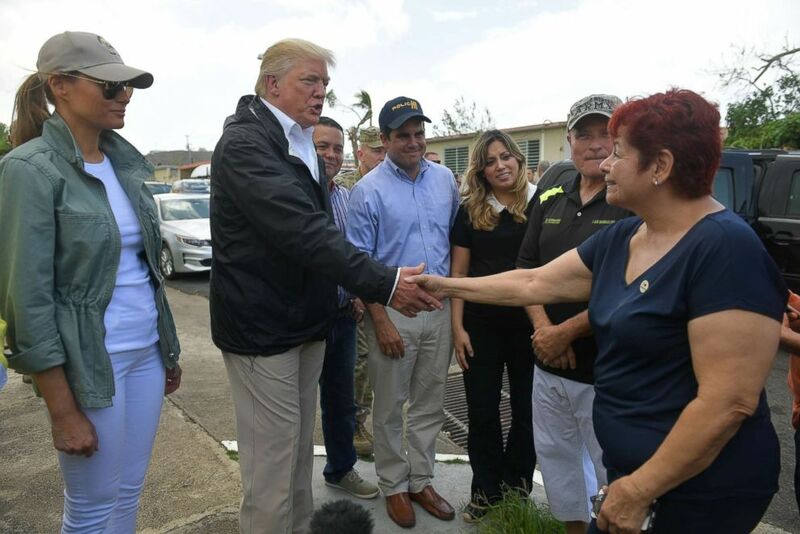 President Donald Trump and first lady Melania Trump visit residents affected by Hurricane in Guaynabo, Puerto Rico, Oct. 3, 2017. It also puts the spotlight squarely on the federal response to the current storm. The president is already handing out grades for tests that have not yet begun. Trump this week showed again that he creates his own world out of things that are not rooted in facts. It may work for his brand, but his fellow Republicans know that voters are set to impose realities of their own. Starting today, it’s nothing but general election matchups until November. The big stories were on the Democratic side. Keeping with this year’s themes, Democrats nominated several women to top posts, including former state senator Molly Kelly in New Hampshire’s gubernatorial race. One swing district in New Hampshire will make history regardless of which candidate wins in six weeks. The Republican nominated in the 1st Congressional District, if he wins, would be the first African-American to represent the predominantly white state. The Democrat nominated would be the state’s first openly gay member of Congress. New York Governor Andrew Cuomo holds his ballot while voting in the New York Democratic primary election at the Presbyterian Church in Mt. Cisco, N.Y., Sept. 13, 2018. In some ways, though, Democrats ended this primary season picking more moderate and centrist candidates. Rhode Island’s Gov. Gina Raimondo, who has longed advocated working across the aisle, beat her progressive Democratic challenger. And despite lackluster approval ratings, New York’s Democratic Gov. 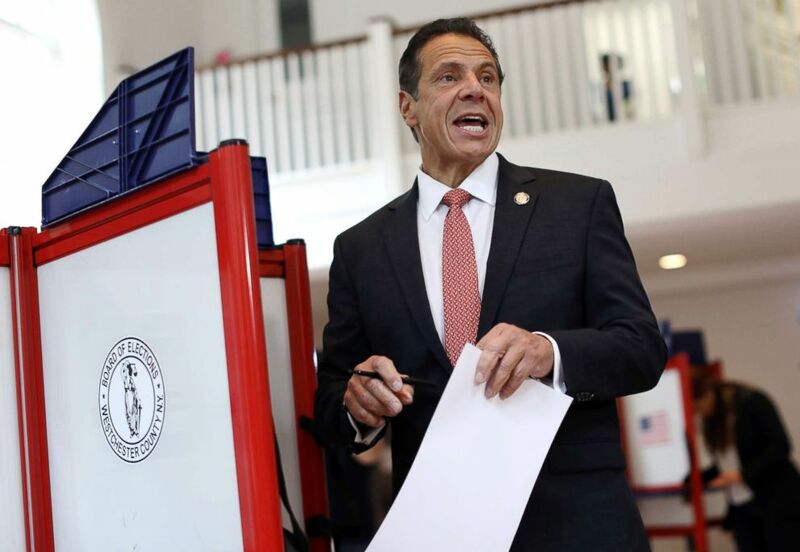 Andrew Cuomo also fended off a challenge from the left, defeating actress and activist Cynthia Nixon. Hours before Cuomo declared victory, Nixon emailed supporters about how Cuomo outspent her and how she made him change his tune on policy. She also noted the rampant issues New York has had with voter registration and voter rolls. Turnout in the Empire State ranks among the lowest in the nation. With just 53 days until the midterm election, Democrats are homing in on health care as a central plank of their 2018 messaging strategy. Former President Barack Obama cast the issue in life and death terms at a rally for Ohio gubernatorial candidate Richard Cordray in Cleveland Thursday night. "When you vote, you have the power to make sure a family keeps their health insurance — you can save somebody’s life — that power is in your hands," Obama told the crowd as he lambasted Republican attempts to undermine his signature policy achievement, the Affordable Care Act. 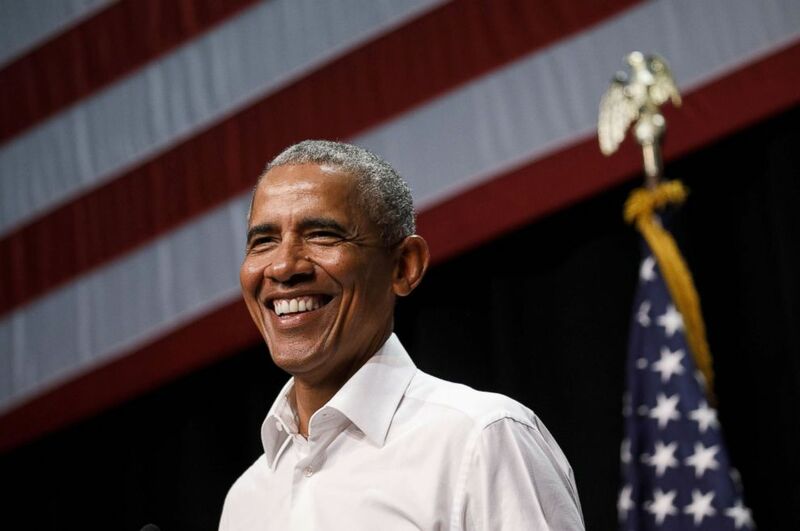 Former President Barack Obama smiles during a campaign rally in Anaheim, Calif., Sept. 8, 2018. "It's wrong, and we're not going to let it happen," Cordray added, attacking his Republican opponent, Mike DeWine, on the issue. Elsewhere in the Rust Belt, Michigan Democratic congressional candidate Elissa Slotkin just released a deeply personal, health care-focused ad highlighting her Republican opponent Rep. Mike Bishop's vote last year to repeal the ACA. Slotkin, a former CIA official, called Bishop's vote a "dereliction of duty," and a "fireable offense." President Trump receives an emergency preparedness update at 2:30 p.m.
Former Trump campaign chairman Paul Manafort has a pre-trial conference at 11 a.m. during which it is expected that his tentative plea deal with special counsel Robert Mueller will be announced. House Minority Leader Nancy Pelosi holds her weekly press briefing at 10:15 a.m.
NATO Secretary General Jens Stoltenberg delivers remarks on "The Value of NATO in the 21st Century" at the Heritage Foundation in Washington at 11 a.m.
"There are no problems in America. Everybody is doing well. Things are fair and decent and no one died in Puerto Rico." — Former Vice President Joe Biden, sarcastically, at an event in Washington Thursday, following President Trump's tweets casting doubt on Puerto Rico’s official death toll from Hurricane Maria.